You're ready to get a hunting license. Resident of Georgia? Get certified completely online. No review class required. 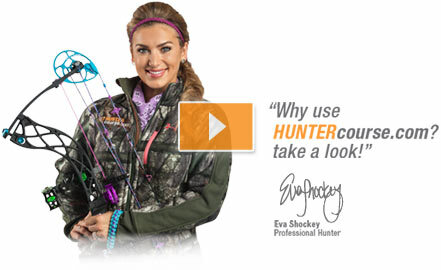 Pass your hunter safety education course from the comfort of your own home. No need to book a Review Class, no travel time, no worries. 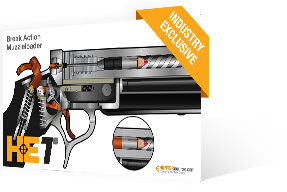 Everything you need to study and pass your hunter safety education at your fingertips. Approved by the Georgia Department of Natural Resources, as well as 30 other agencies. Sign up and study the HUNTERcourse.com Georgia Hunter Education course. One-time course fee of $29.00. 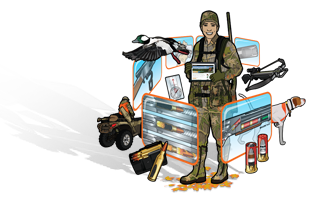 You'll learn all the fundamentals of hunting in realistic, interactive, narrated online lessons. Each chapter ends with a quiz on which you need to score 80%. If you don't pass on the first try, you can always try again! 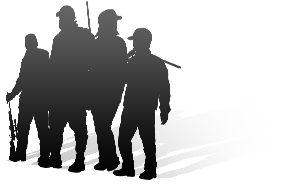 Once you have completed the online course, you'll have immediate access to your Georgia Hunter Safety Number. You will also be able to access you're your Georgia Hunter Safety Certificate by going to GoOutdoorGeorgia.com by using your GA DNR ID. As of October 1, 2015, the review class is not required when you complete the Georgia Online Hunter Education Course. Simply login into GoOutdoorsGeorgia.com with your GA DNR ID number and purchase your hunting licenses.